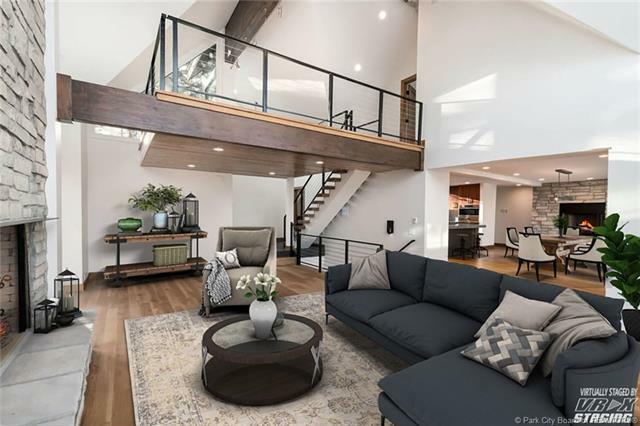 This newly remodeled home features high ceilings, expansive windows, and remarkable views throughout. The living room has a stone wood-burning fireplace, vaulted ceiling, and tall windows and opens into the dining room and kitchen. The dining room features an additional stone wood-burning fireplace and accordion glass doors that open completely to access this floor's large deck with built in grill. The kitchen boasts Wolf, Sub-Zero, and Asko appliances, beautiful cabinets and counter tops, and high-end finishes. A powder bath and two bedrooms, each with on-suite baths, round out the main level. 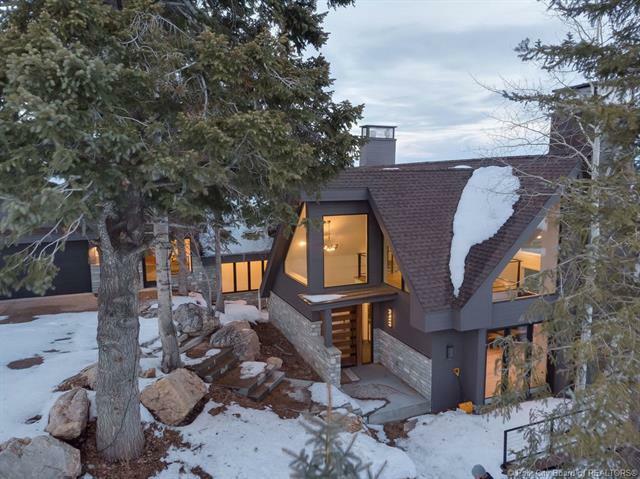 The spacious and luxurious master suite is on the top floor with a stone fireplace, vaulted ceiling, and incredible views. 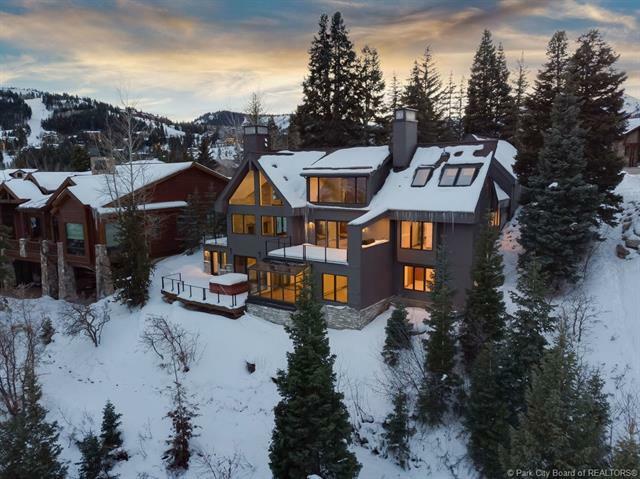 The lower level access the private ski run/ski lift and includes a ski locker room, a living room with the home's fourth stone fireplace, a flex-room with floor to ceiling windows to take in the views, and two additional guest beds with on-suite baths.